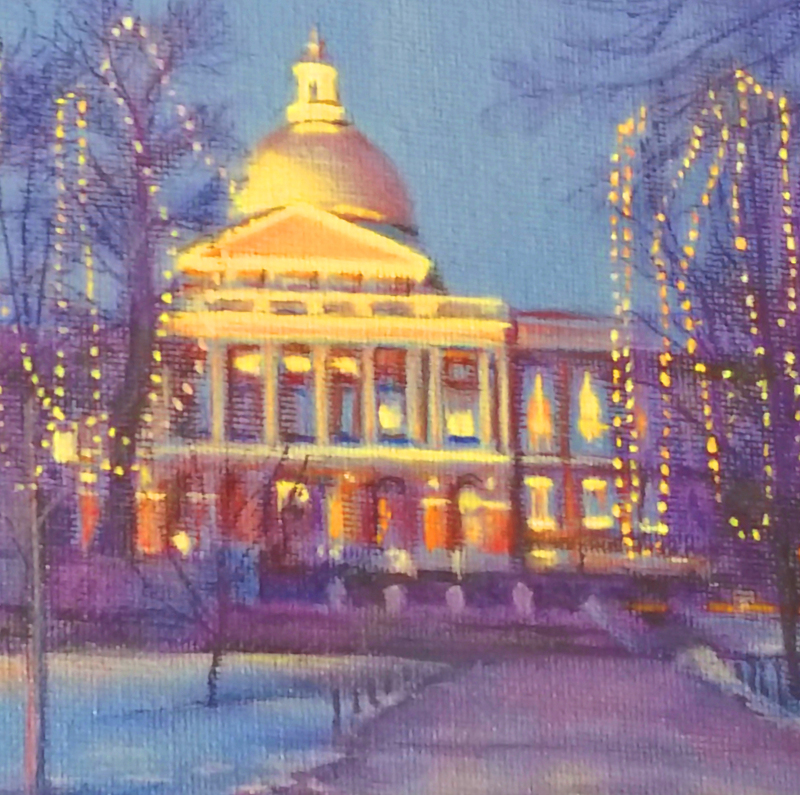 The Hidden Art Gallery was founded in 2011 and exhibits representational, traditional styles, abstract and impressionist works of local artists of Boston. Our mission is to invite young art collectors who are in the market to purchase works of art from award winning artists. Also, to invite the community to join us for workshops and help people, who are open to learn basic introduction to life drawing and use of watercolor sketching as a stepping start to oil painting. Zoe has been painting as a hobby for many years, she is a self taught artstist and has been in the art realm for decades. And she is a member of the Concord Art Association. She has chosen to study with master painters Sam Vokey, Patrick Anderson and the belated Bill St. George. Shes's been painting contemporary oils on canvas for the last 16 years and previously started as a hobby in her teenage years. She loves to paint plien air and indulges in the use of color to represent nature in her landscapes and dream like imagery. Her paintings are exotic, rich in context, color and imagery. 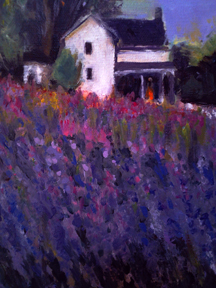 The abundance of color carries a strong energy in her impressionist paintings. of light, movement, color, peaceful and tranquil mood setting. Her dance back ground carries the energy through movement and self expression. Zoe graduated from Umass Boston with BA in English Literature, and holds a graphic design certificate from Mass College of Art whre she's also studied art history and painting. Man moons ago, Zoe had been an art model for Master Painters at the school of Museum of fine art, Robert Comier, Robert Douglas Hunter at the fenway art studios when she first started her college experience and was discovering her interest and love for art. She is also a licensed professional massage therapist and to continue her passion with art, she teaches color healing, creative visualization and portfolio review. She honors the study of spiritual developent and offers healing workshops and meditation. Patrick is a master painter and award winning aritst. He studied at Vesper George School of Art where he was taught by "Boston School Painters" and instructors at the time, John Terelak, Robert Douglas Hunter, Robert Comier, Paul Rahilly. He studied studio and plien air work privately with with John Terelak in his hometown Rockport, MA. 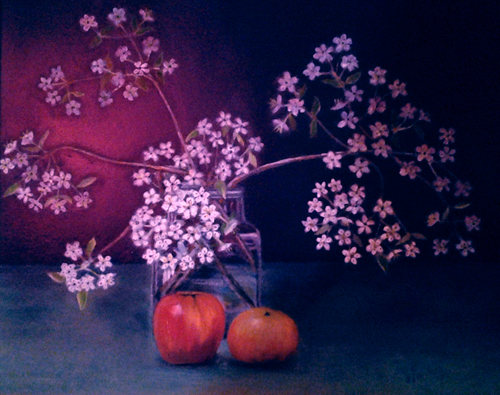 Patrick's style is contemporary realism with strong painterly qualities. As a traditional realist painter, he has a fascination with light, both natural and artificial and its effects it has on many of his city subjects. His nocturnes may owe a nod to Edward Hopper in feeling. He is a member of the Concord Art Association and the Copley Society of Boston where in 2004 received the Sagendorph Award for excellence in Realism. 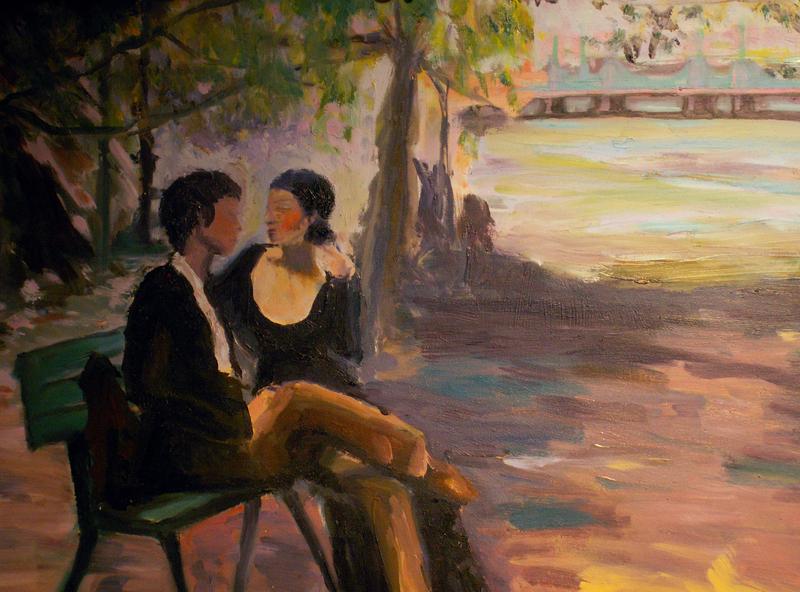 He has won the Roddy award for his "Mid Summer's Eve" oil painting at Concord Art Association. 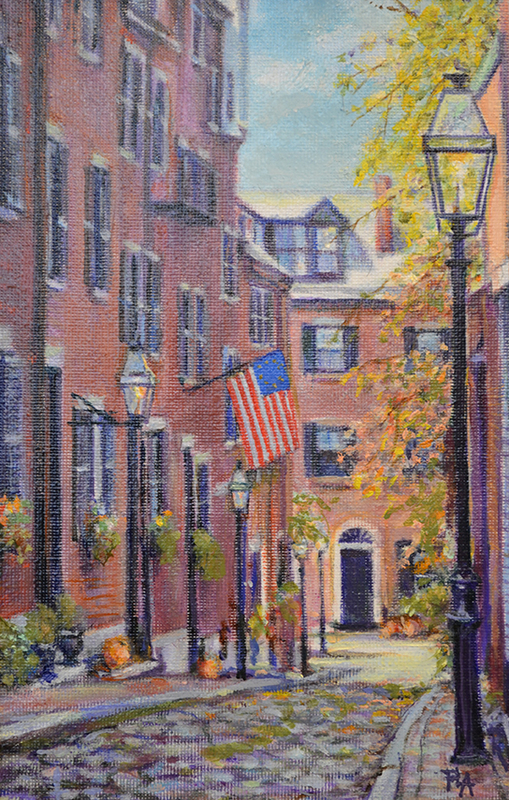 Patrick has been a participant in the annual regional painting competition at The Boston Artist Guild for the past four years. 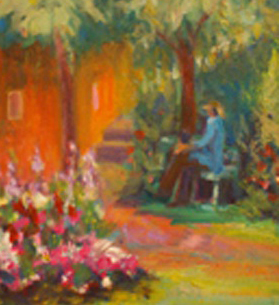 His painting "Neighbors", oil on canvas, was chosen by the Cahoon Museum of American Art, Cotuit, MA, in 2010 for an exhibition on "how American artists of the past and present have used the window". 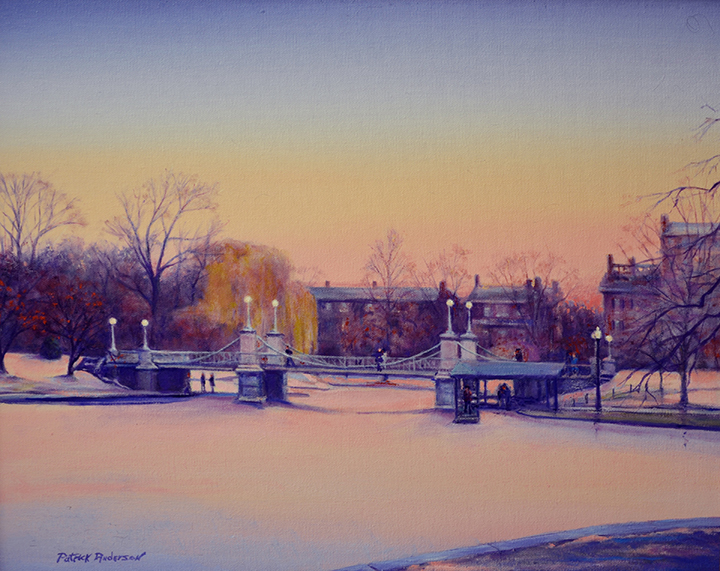 Patrick is hard working, disciplined and strives to be a master of capturing an amazing light in his paintings. 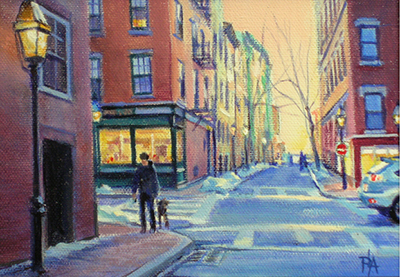 He has been mentioned in the Beacon Hill Times, the Boston Globe and In 2004 published by the International Artists Publishing Inc. His work is Collected nationally and internationally, many have said that his cityscapes and scenarios capture a romantic nostalgic feeling and a true sense of Boston.